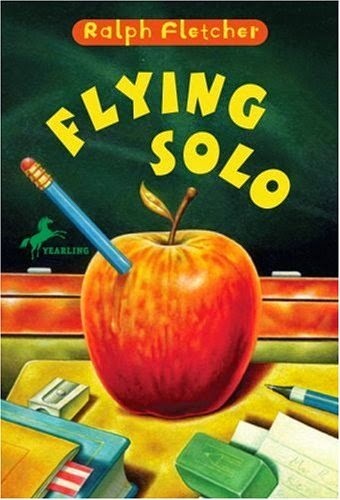 I finished reading the book Flying Solo by Ralph Fletcher. I had seen this book in my elementary school but just never bothered to pick it up and read it. I think this book was excellent and it owuld be funny if it happened to me. It is about some kids all in the same class that come to school and they do't have a teacher! So, the class decides to try to survive the school day without a teacher. Will they make it or will they get caught by aother teacher? Read the book to find out! I had a connection to this book, because on the last day of school it feels like we don't have a teacher because we just played games. I really enjoyed this book and I recommend you read it too.